A Junior version of the popular family game! Read a card and give an answer, but you have to do it in 5 seconds! 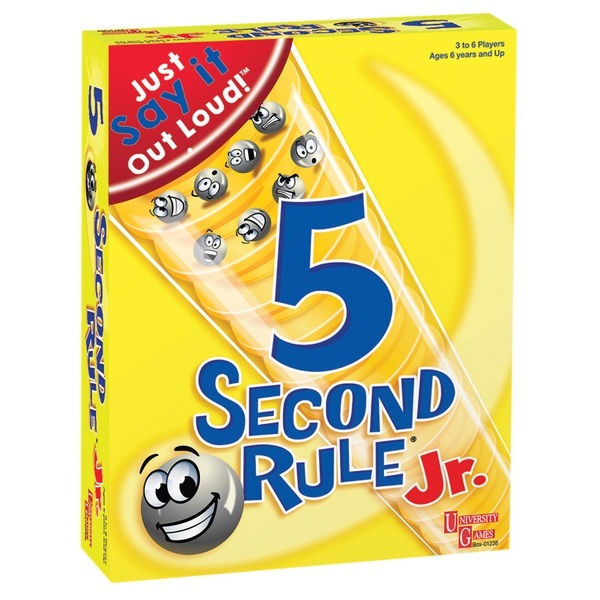 This 5 Second Rule Jr. Game is a junior version of the popular family game 5 Second Rule Game. It seems like it would be easy to name three flavours of ice cream - but can you do it under the pressure of 5 seconds twisting down? You have to be quick, so just say what comes to mind! It's all in good fun, with this face-paced game, where you have to just say it out loud!